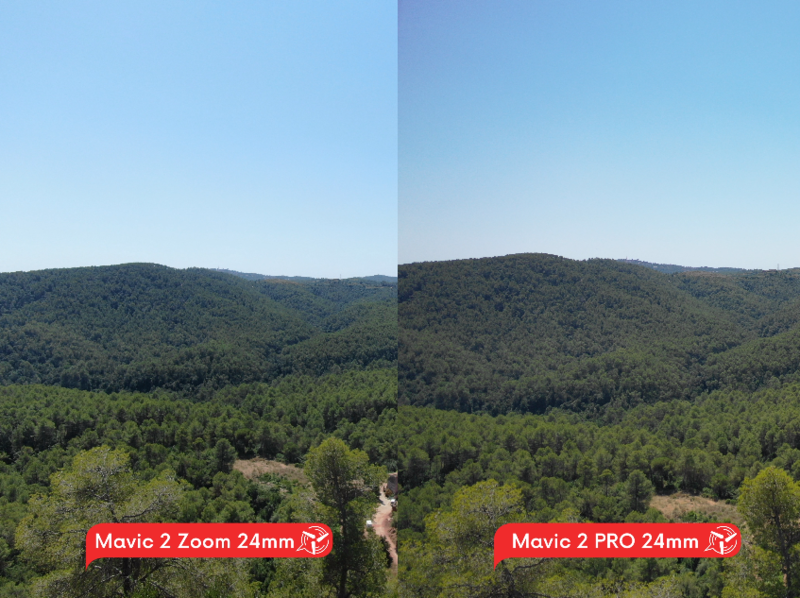 Mavic 2 Zoom’s 1/ 2.3” CMOS sensor is equivalent in size to the sensor found on the original Mavic series, but the new lens is designed to adjust to any range between a wide 24 mm field of view to a telephoto 48 mm field of view. 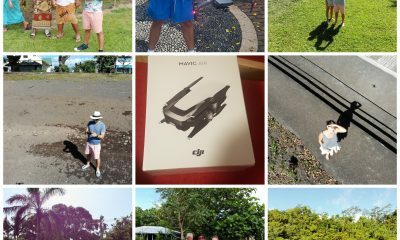 DJI also updated the 12 MP Mavic 2 Zoom with the ability to capture and patch nine images together, resulting in a 48 MP high-resolution photo. 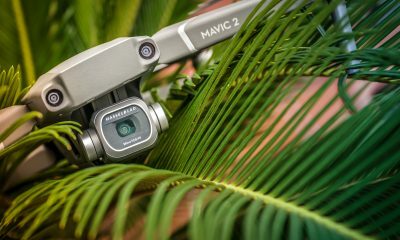 Mavic 2 Pro’s camera system was partly developed by Hasselblad, a Swedish camera company known for their high-end photographic equipment. 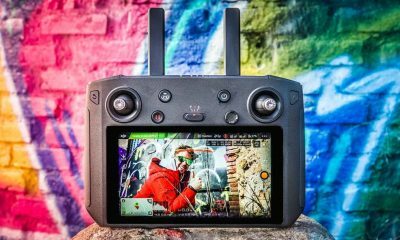 The new DJI consumer quadcopter has a 1” sensor that is designed to shoot 20 MP photos and record 10-bit HDR videos, which is a step up from previous DJI models since the only other drones that featured a 1” sensor came from the much larger Phantom 4 Pro series. 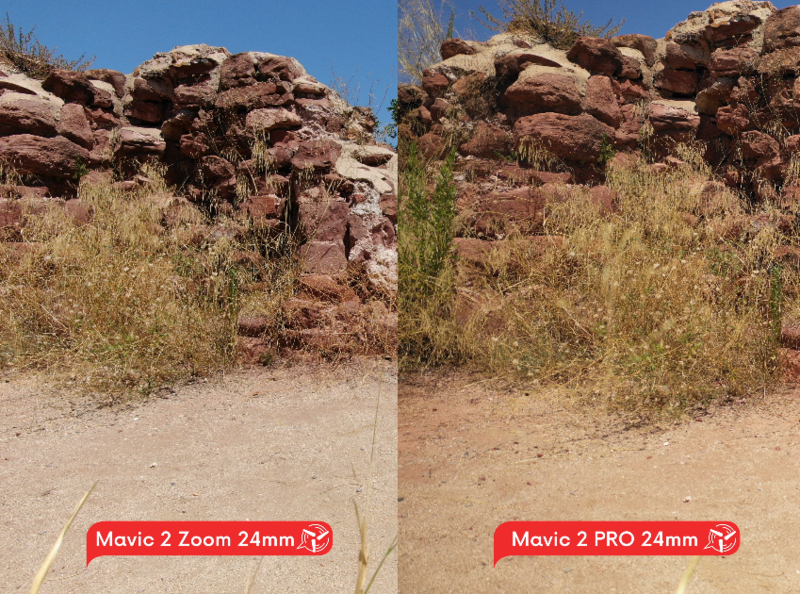 Mavic 2 Pro is also built with a 24 mm wide-angle lens, but it is fixed. 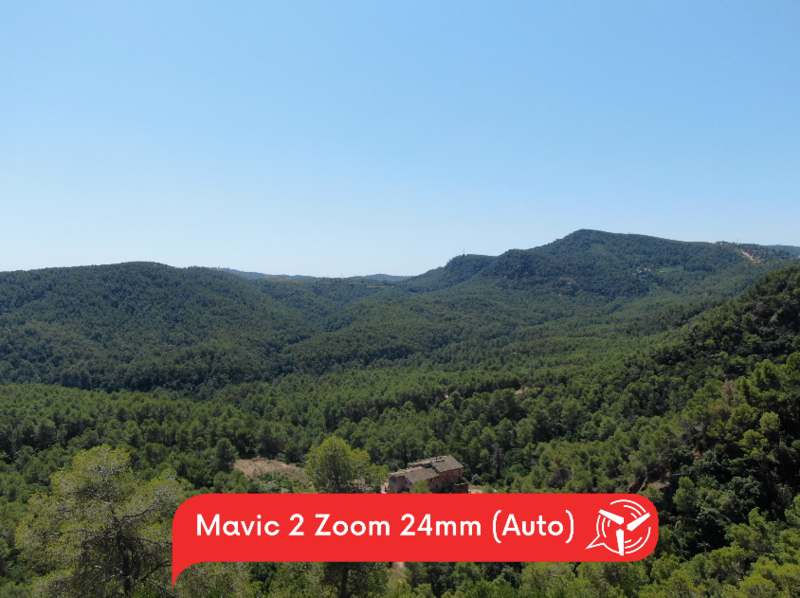 The Mavic 2 Pro is also designed with an adjustable aperture, which goes from f/2.8 to f/11. 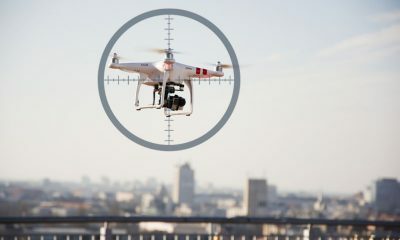 The adjustable aperture makes the pro version ideal for low-light to bright situations, but an ND filter is still recommended for reducing Jello effect in videos. 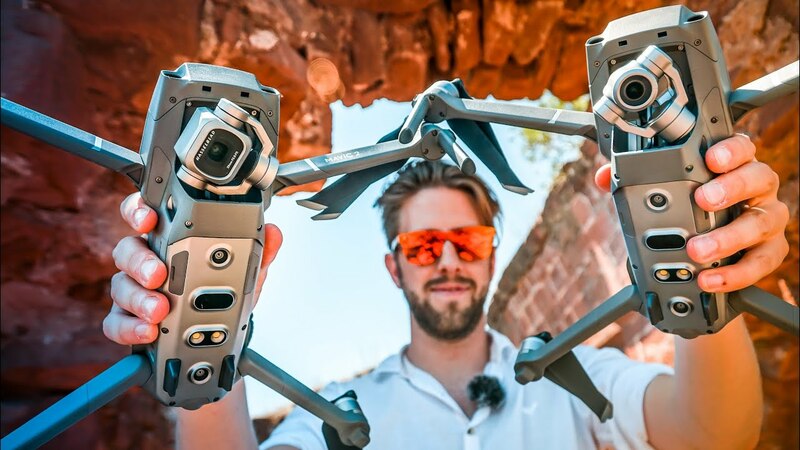 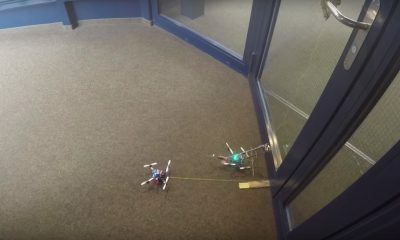 “A big difference among these two drones is that the Mavic 2 Zoom has 13 EV stops, when talking about dynamic range, and the Mavic 2 Pro has 14,” explained We Talk UAV’s Alex Assenmacher.